Here is the exhibition stand that Trevor took to the Promoting Pembrokeshire Event at Slebech Park, Haverfordwest today. It was the first outing for his new banners promoting corporate branding...	Read more..
Modern Print are printing Calendars for the Noah's Ark Children's Hospital of Wales appeal. This full colour A3 calender features a picture each month of a naked male employee of...	Read more.. This years personally printed Christmas cards are better value than ever. They now start from 75p each and save you time writing them. That's less expensive and better quality than...	Read more..
Postcard printers Modern Print are running a special offer on A6 ( 105 X 148mm ) postcards which are perfect for promoting your business.The postcards are printed in full colour...	Read more.. The Western Telegraph has acknowledged Modern Prints tree planting program in Tanzania, Africa. The article was published on 12th October 2010 and went as follows -A Pembrokeshire company has helped plant...	Read more.. 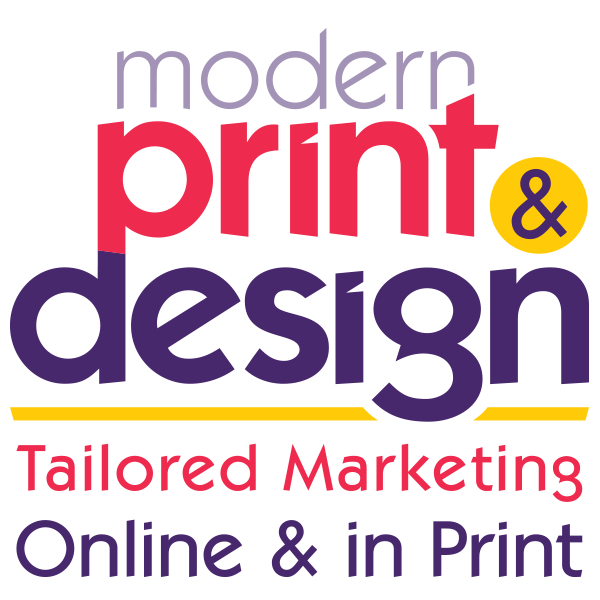 Here is the new look Modern Print Van that will be hitting Pembrokeshire this month. The design was created by our graphic designers who had a brief to make something that...	Read more..
Trevor, managing partner of Modern Print recently visited London for its prestigious design festival and to keep up to date with the latest design trends.Of particular interest was a visit...	Read more..
Modern Print have just bought a state of the art paper drill to take care of all your paper punching. This will save you time having to punch each of your...	Read more..
Pembroke Dock Chamber of Trade have decided to start a campaign to get their Town centre tidied up. However this is is not an armchair exercise, the members will be...	Read more..
Pembroke Dock Printers Modern Print Plant 150 Trees in Tanzania. 150 trees have been planted by Modern Print over the last 18 months, on Zanzibar in Tanzania.Pembroke Docks Modern Print have committed themselves to paying for the planting of a...	Read more..
Corporate Branding In Pembrokeshire Only £397! For only £397 + vat you will have a logo created for you along with Letterhead, Business Card and Compliment Slip designs, brand use guidelines and website logo all on CD....	Read more..
You can now have your emails branded with your own logo to complete your corporate image. This will help make your emails stand out from the crowd and ensure they...	Read more..
Small businesses in Wales can access up to £5000 towards the cost of training and recruitment through the GO Wales programme.Funding for TrainingIf you or any of your staff have...	Read more..
We have been busy banner printing for customers in Haverfordwest this week for the Pembrokeshire County Show. The banners were 8 X 2ft, printed on PVC canvas, hemmed and eyeletted.Six banners...	Read more.. The Pembroke Dock Sunderland Trust are over the moon with the poster, leaflets and ration tickets Modern Print have designed and printed for them.All of this printing is for there 1940s big...	Read more..
Jelly Egg have just had a batch of digitally printed full colour gift vouchers from Modern Print for there Narberth shop.The gift vouchers were printed on 200gsm card, numbered in two...	Read more.. Outdoor Wales based near St Davids, Pembrokeshire were delighted with the refreshed corporate logo and branding that Modern Print created for them.The project involved re-working their logo, printing business cards...	Read more..
Pembroke Dock digital printers Modern Print, have won praise for the posters they printed for the 2010 Pembrokeshire Bike Ride. Event organiser Tim Hughes of 1 Stop Financial Services wrote...	Read more..